How Important are External Flashes? 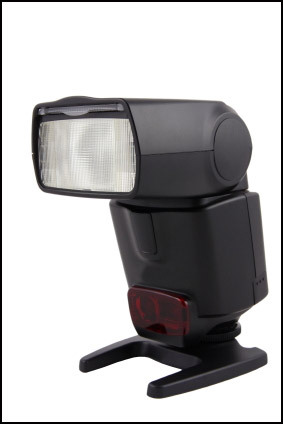 Exter­nal Flashes have many advan­tages over on-camera flashes; not only is an exter­nal flash much more pow­er­ful than a small‚on-camera flash, but it also has a tilt-able head so that you can bounce it. Bounc­ing a flash is a great way to soften the light since direct flash is quite harsh. Exter­nal flashes can be taken off cam­era. This allows the pho­tog­ra­pher to cre­atively light a sub­ject from dif­fer­ent angles. You’ll need a way to trig­ger the flash and there are sev­eral good meth­ods depend­ing on your bud­get. The cheap­est way (20 bucks or less) is with a sync cord but a bet­ter way is a wire­less trig­ger­ing sys­tem like the Pocket Wiz­ard. So if your bud­get can cope, an exter­nal flash is a prime invest­ment and a step­ping stone to get­ting you closer to the ‘advanced pho­tog­ra­pher’ sta­tus. For addi­tional info check this link from our pho­tog­ra­phy forum.